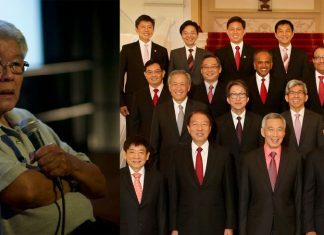 The Ministry of Culture, Community and Youth (MCCY) has admitted that the Founders’ Memorial it is building will commemorate founding Prime Minister Lee Kuan Yew and his values and ideals. Plans to commemorate the late elder statesman through a memorial are moving forward in spite of his aversion to monuments. The Government announced its plans to build a Founders’ Memorial a mere three months after the nation’s founding Prime Minister Lee Kuan Yew passed away in March 2015. At the time, the authorities seemed to position the memorial as though it would pay tribute to many historical figures, including but not solely focused on Lee Kuan Yew, who shaped Singapore. 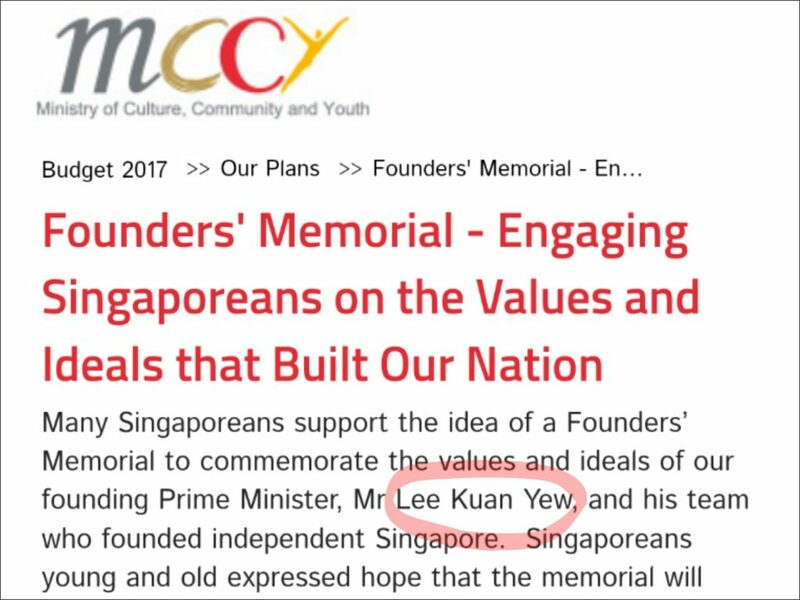 Curiously, Lee Kuan Yew is the only figure who is explicitly identified in a statement on MCCY’s website, that provides an idea as to what Singaporeans can expect from the memorial. It remains unclear how MCCY arrived at the conclusion that Singaporeans support the idea of a Founders’ Memorial and whether the Ministry surveyed Singaporeans on their thoughts on erecting such a tribute. Some netizens have also pointed out that plans to build such a Founders’ Memorial that seems to be centred on the late Lee Kuan Yew’s values and ideals are contrary to his well-known aversion to monuments of himself. That same month, Lee Kuan Yew’s second child and only daughter Lee Wei Ling wrote in an article on the national broadsheet: “…I was baffled by the news that our MPs were suggesting naming various structures or institutions after Papa. She added: “The best response to Papa’s passing is to honour the spirit of what he stood for, which is the welfare of Singaporeans. There is much that we can all work towards for this purpose. 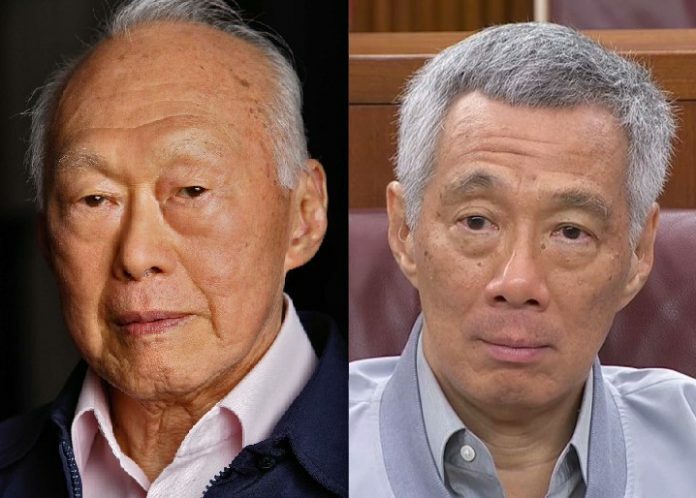 Oddly, the Government commissioned a committee to look into developing a Founders’ Memorial two months after Lee Hsien Loong and Lee Wei Ling noted their father’s dislike for monuments, in June 2015. Two years later, Lee Wei Ling and her younger brother Lee Hsien Yang alleged that Lee Hsien Loong was trying to preserve their father’s house at 38 Oxley Road against their father’s last wishes to demolish the house after his death. The younger siblings alleged that their elder brother was trying to solidify his grip on power by preserving the house, that he had plans to groom his son for politics and that he used state organs to silence them.